The new generation of snow blowers (also called snow throwers) include a slew of electric models and gas models that break with the classic look of a snow blower - some winter 2019 models even include an widening range of all-electric cordless models. The engine and mechanism are hidden under a plastic cab, much like a snowmobile. AlphaChooser lets you select your best snow thrower by various categories of throwing distance, intake width and pounds per minute, which are all metrics that matter more or less depending on whether you are cleaning a small, wide or large driveway. Currently, the best snow blower 2019 is the Ariens Deluxe 30 921047, followed by the Honda HSS928ATD. 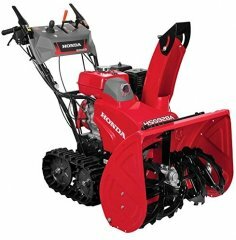 Here is the full top 10 list, then sub-categories and an extensive list of snow blower brands and models. Given this snow blower's compound ranking of 92%, we are confident that the Ariens Deluxe 30 921047 is currently Alphachooser's best snow blower 2019. Furthermore, we think that our 655 reviews sampled from our sources give us a high confidence level (more on confidence levels) that pushes us to label it a "no-brainer best choice." 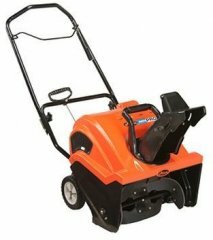 With its star rating of 4.5 averaged from 42 reviews, here is what we consider second best snow blower. * This list is based on an in-depth analysis of hundreds of snow blower reviews from around the web. 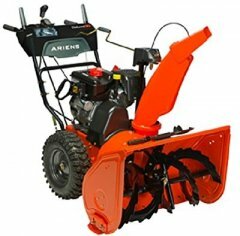 The Ariens Path-Pro 208R is the latest snow blower by Ariens. The Snow Joe iON100V-21SB is the newest Snow Joe snow blower. All Snow Joe snow blowers. The Husqvarna ST330T is the latest model by Husqvarna. The Yard Machines 31ABS62EE500 is the latest Yard Machines snow blower. All Yard Machines snow blowers. 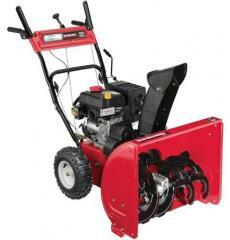 The Toro 37793 is the newest snow blower by Toro. The Troy-Bilt 31AM2T7G563 is the newest Troy-Bilt model. The Poulan Pro PPB40SB is the latest model by Poulan Pro. All Poulan Pro snow blowers. 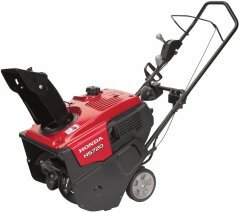 The Briggs and Stratton 1022EX is the latest Briggs and Stratton one. 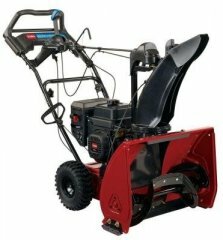 All Briggs and Stratton snow blowers. The Simplicity SIL824R is the latest Simplicity snow blower. The MTD Gold 28 31AH74KG504 is the newest MTD snow blower. The Greenworks SN60L410 is the latest snow blower by Greenworks. The Honda HSS928ATD is the latest Honda model. The Cub Cadet 3X 30 is the newest Cub Cadet one. All Cub Cadet snow blowers. The PowerSmart DB7279 is the newest snow blower by Powersmart. The Remington Boulder RM2140 is the newest Remington one. The Earthwise SN74018 is the latest Earthwise model. The Ryobi RY40840 is the newest Ryobi one. The Yardmax YB4628 is the newest Yardmax one. 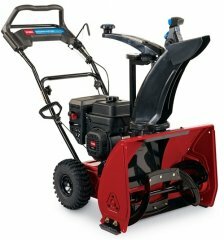 The Aavix AGT1424S is the newest snow blower by Aavix. The Snapper SS922EX is the newest Snapper one. The Murray 1696030 is the newest model by Murray. 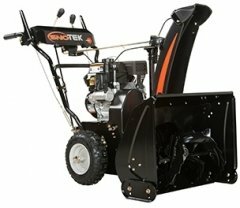 The Sno-Tek 24 920402 is the latest Sno-Tek snow blower. The Yamaha YS1028J is the latest Yamaha snow blower. The Jonsered ST 2361 is the newest Jonsered snow blower. The Powerland PDST24E is the newest snow blower by Powerland. The Homcom 01-0453 is the latest HOMCOM one. The Yardworks 060-3701-0 is the latest snow blower by Yardworks. The Beast Snow Beast 36SBM15FA is the newest model by Beast. The Homegear Pro 20-inch is the newest Homegear snow blower. The Stanley 30SS is the latest snow blower by Stanley. The Ivation IVASB-15A is the newest Ivation snow blower. The Bolens 31AS32AD565 is the newest Bolens model. The Black and Decker Kitchen Tools 9-slice Digital is the latest Black and Decker model. All Black and Decker snow blowers. 18-inch electrical snow thrower with a claimed throwing distance of 30 feet.